Despite the wintry weather, an excellent crowd gathered at Coatbridge Middle Church on 2 March 2015 to hear the Bellshill Band (Bandmaster Yvonne Ferguson). A number of members of the band were unable to attend the event because of holidays, work, medical or study commitments, however, the band was still able to provide a fantastic evening of music and praise. Because of the missing players, some of the older members of the Bellshill YP Band came along to help out, including Cameron Shanks and Melissa Rennie who were superb on percussion in the absence of the regular percussionists, and Rebecca Gemmell and Luke Kendall who did a great job on cornet and trombone, respectively. The program featured several soloists. Ernest Hamilton provided a vocal solo. The euphonium solo Dearest Name was offered by Chris Shanks. On flügelhorn, Lynn Shanks played the solo Through It All and joined with the trombone section for the feature I Will Follow Him. Michelle Addie gave a personal testimony and a Bible reading and devotional thought was given by David Kendall. Other items from the band included Shalom, Time to Be Holy, Ask, The Name, Dance Like David, Temple 125 and Guardian of My Soul. As a benediction, the band played Lord, If Your Presence. 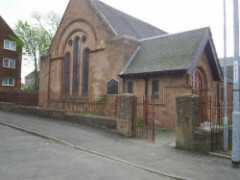 This article was posted in News and tagged Bellshill Band, Cameron Shanks, Chris Shanks, Coatbridge Middle Church, concert, David Kendall, Dorothy Neil, Ernest Hamilton, Luke Kendall, Lynn Shanks, Melissa Rennie, Michelle Addie, Rebecca Gemmell, Yvonne Ferguson on 5 May 2015 .